We have raised chickens for meat for several years now, but this will be our first year to have laying hens. We are thankful our young son has outgrown his severe egg allergy and look forward to collecting our own farm fresh eggs before long! We took a trip to the local TSC and let the kids pick out three chicks each. The chicks spent their first few weeks in the garage in a stock tank under a heat lamp… and the kids enjoyed feeding, holding and checking on them regularly. The chicks are about 8 weeks old now and doing very well. We ended up with three Barred Rocks, three Rhode Island Reds, two Buff Orpingtons and one mystery chick that was supposed to be a Buff. We’ll have to figure out what she is one of these days! The chicks are now fully feathered and have been moved to the chicken coop. 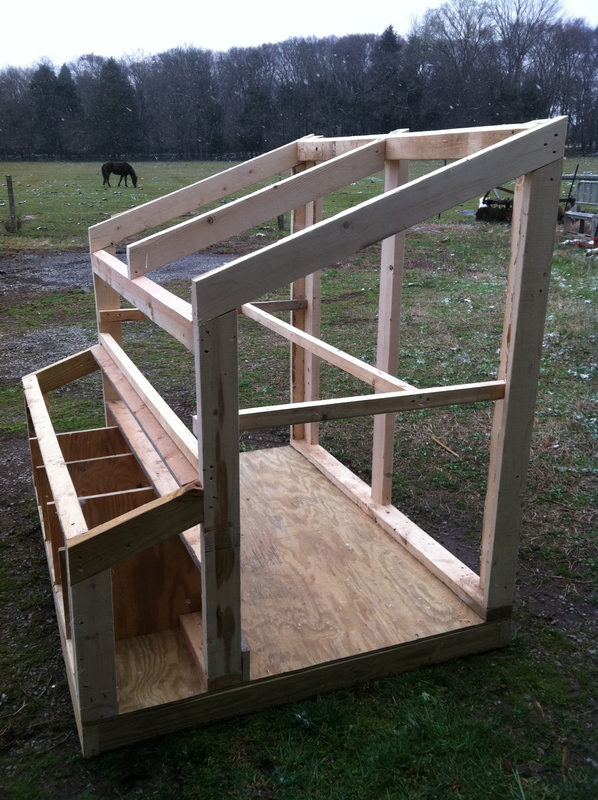 In anticipation for eggs to start coming, we built a hen-house and attached it to the back of our chicken coop. 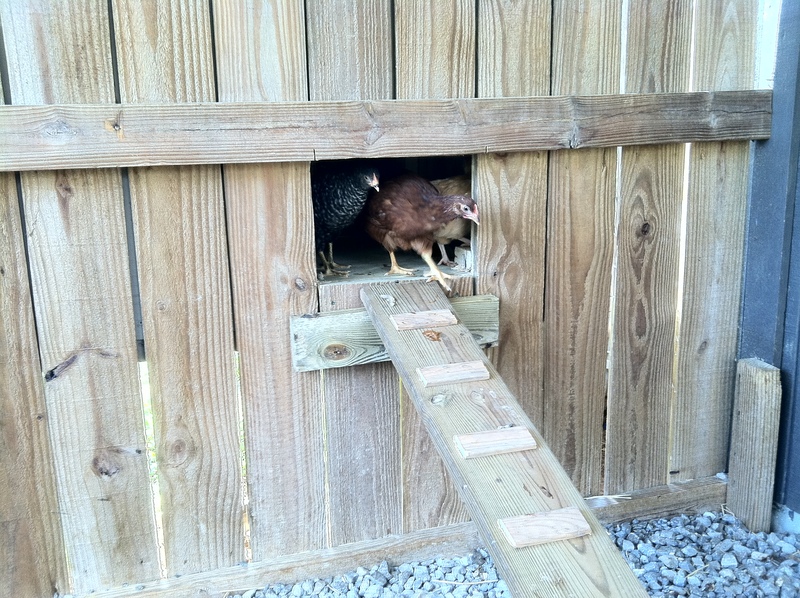 We made the nesting boxes easily accessible so the kids can collect eggs from outside the chicken coop. Now we are all set and waiting for eggs! 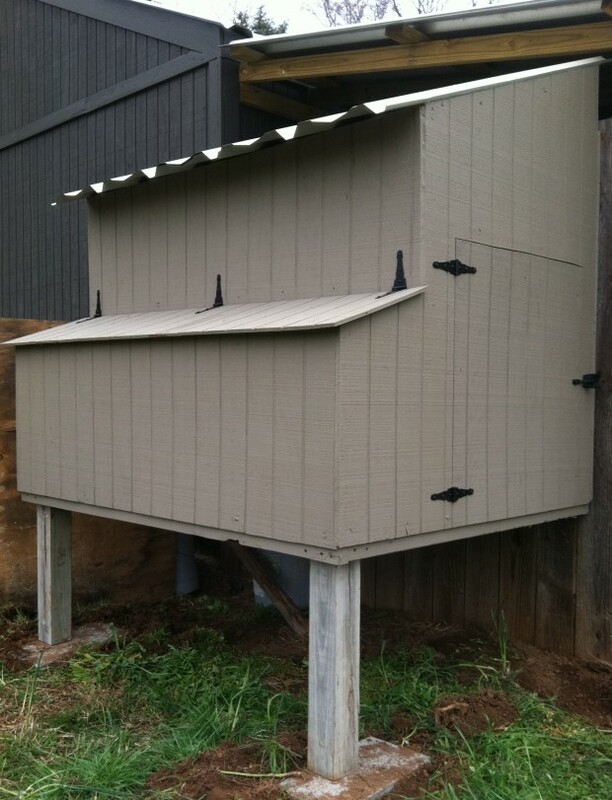 Picture of the framed hen-house – note the nesting boxes to the left. Another picture with the siding added. 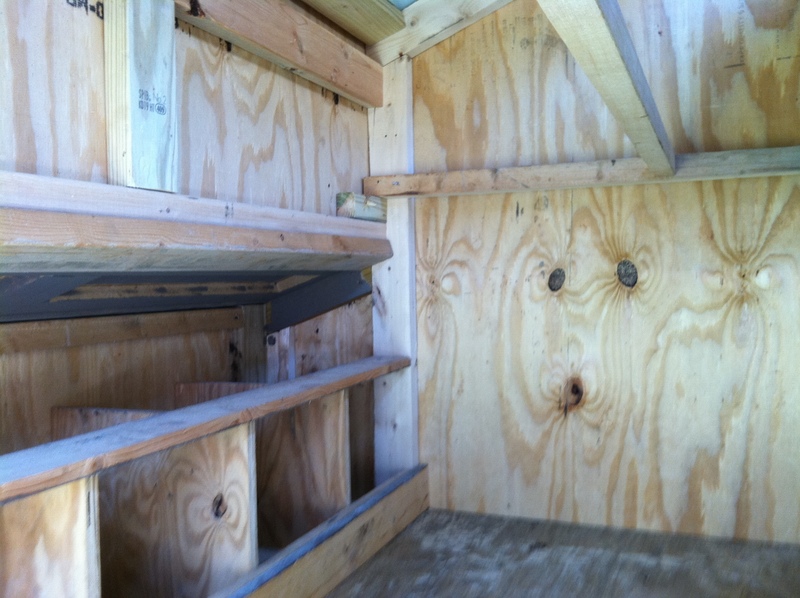 A picture inside the hen-house – complete with roost and nesting boxes. love it! do the chickens come and go freely into a fenced area? do you keep them in at night? i have been wanting to do this for a while but not sure how to pull it off in town. 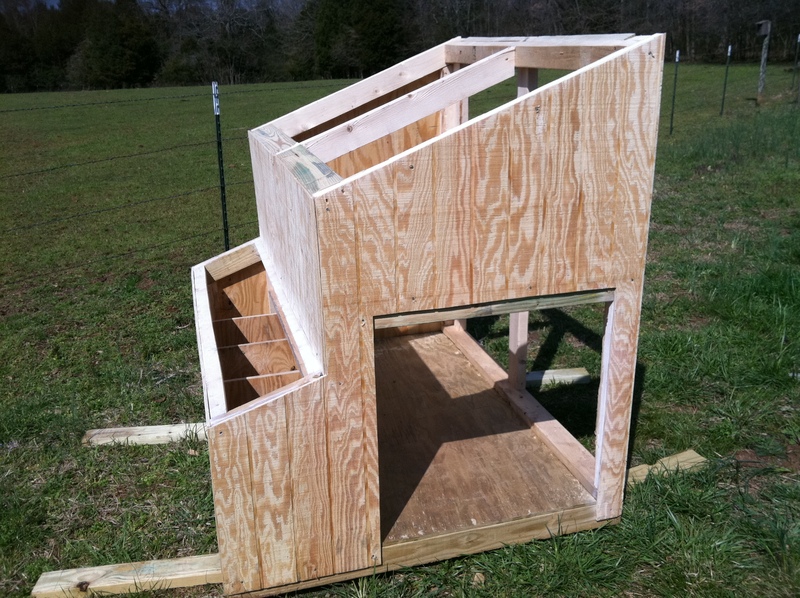 do you have plans on how to make this coop? I’d be interested in plans as well. This looks exactly like what I’ve been wanting to build. Do you have plans for the coop? I love your design and would love plans if you have them. Would you happen to have plans to make this coop? This is exactly what we are looking for! Do you have the plans for this coop? Would love the plans for this…looks awesome!! Am I able to get plans for this, much appreciated! 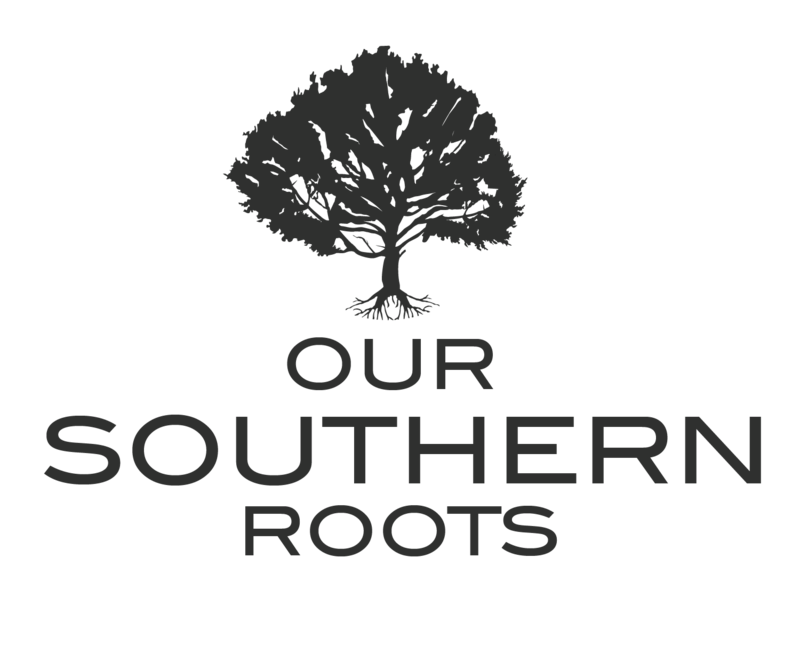 I love this idea because it is off the ground. Would you please send me a copy of the plans. J’aimerais beaucoup fabriquer un poulailler comme le votre, pourriez-vous me cèder les plans s’il vous plait?